Regional Women Lead Master Classes and Professional Development Opportunities. We’re thrilled to be able to offer these opportunities to local artists as part of PlaySmelter 2019. All Master Classes and Opportunities are offered to participants at no charge and are a core mandate of the PlaySmelter Northern New Works Festival. We are grateful to the Canada Council for the Arts for their support of Regional Women Lead. This workshop actively investigates the role of director in a new work process, with a focus on dramaturgical approaches, collaboration with playwrights/creators,and exploring all stages of development, from workshops and readings to the rehearsal hall and onto the stage. This workshop is open to artists curious and passionate about building tools to support an idea as it grows into a production. Laurel Green is an adventurous director, dramaturg, and arts manager who works extensively in new play development. Laurel’s work embraces and explodes a wide variety of styles including plays, staged readings, sensory performances, podcasts, bike games, and secret backyard shows. She is currently the Festival Producer for One Yellow Rabbit’s High Performance Rodeo, Calgary’s International Festival of the Arts. 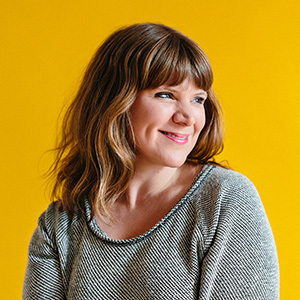 For seven seasons she was part of the artistic team at Alberta Theatre Projects; production dramaturg for world premiere productions, leading workshops and readings, and forming the national ATP Playwrights Unit. Some of Laurel’s recent credits include: TROPHY (High Performance Rodeo/Prague Quadrennial upcoming), Goosebumps: The Musical (Storybook Theatre), Then Comes Now (University of Calgary), The Intuition Project, Touch, Taste (Ghost River Theatre), Charlotte’s Web, 1979, Butcher, The Circle, You Will Remember Me, The Valley (ATP) and the Saskatchewan Playwrights Centre’s Spring Play Festival. Laurel is a past president and member of LMDA Canada (Literary Managers and Dramaturgs of the Americas). She has participated in the Women’s Directing Intensive at the Banff Centre, and Visiting Artists Week with Back to Back Theatre in Australia. Laurel has a Masters in Drama from the University of Toronto. Join us for a comfortable and casual and in-depth conversation with the premier publisher of Canadian Dramatic Literature, Annie Gibson of Playwrights Canada Press. This is an excellent opportunity for emerging playwrights who have yet to be published. In collaboration with Latitude 46. Annie Gibson is the publisher at Playwrights Canada Press. 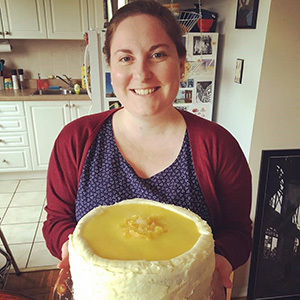 A graduate of the University of Toronto, Annie followed her love of theatre and books to its logical conclusion: publishing plays. She’s worked at Playwrights Canada Press since 2005. She also loves baseball and baking. 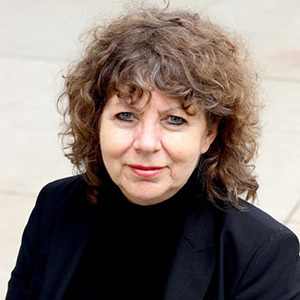 Colleen Murphy is a playwright, filmmaker and librettist, born in Rouyn-Noranda, Quebec and raised in Northern Ontario. Her play Pig Girl won the 2016 Governor General’s Literary Award for Drama as well as the 2014 Carol Bolt Award. The December Man / L’homme de décembre won the 2007 Governor General’s Literary Award for Drama, the CAA/Carol Bolt Award and the Enbridge Playwrights Award. Other plays include The Breathing Hole, The Society For The Destitute Presents Titus Bouffonius, I Hope My Heart Burns First, Armstrong’s War, The Goodnight Bird, Beating Heart Cadaver (shortlisted for a the 1999 Governor General’s Literary Award for Drama), The Piper, Down in Adoration Falling and All Other Destinations are Cancelled. Twice she won awards in the CBC Literary Competition for Fire-Engine Red and Pumpkin Eaters. Her distinct, award-winning films have played in festivals around the world. They include Girl with Dog, Desire, Shoemaker and The Feeler. In 2010 and 2011, Colleen was the Canadian Playwright-in-Residence at Finborough Theatre in London, U.K. She has been Playwright-in-Residence at Necessary Angel Theatre and Factory Theatre in Toronto, as well Playwright-in-Residence at the University of Regina in 2006/7, the Mabel Pugh Taylor Writer-in-Residence at McMaster University in 2010, Writer-in-Residence at the University of Guelph in 2011, the Edna Staebler Laurier Writer-in-Residence at Wilfrid Laurier University in 2014, the Lee Playwright-in-Residence at the University of Alberta, 2014-2017, and Writer in Resident at the University of New Brunswick in 2018. She was awarded a Chalmers Fellowship and, most recently, a Canada Council New Chapter Grant to write a new play Geography of Fire / La Furie et sa géographie.